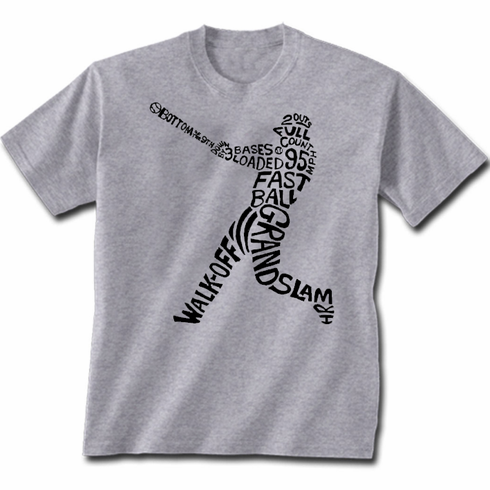 These Walk Off Grand Slam short sleeve baseball t-shirts are great for any young baseball fan! Silhouette batter image made up of the ultimate baseball scenario is screened on the front. 100% cotton.